St. Elmo is on County Road 162, 15 miles west of Nathrop and Highway 285. The last 5 miles of the road is well-graded dirt. The town’s elevation is slightly over 10,000 feet. Dr. Abner Ellis Wright was the first prospector to settle in the St. Elmo area, in 1871. In 1875, he discovered the Mary-Murphy Mine complex. Abner was well known for his missing ear. He lost it to a grizzly bear while seeking his fortune in the California Gold Rush. In 1880, the Upper Chalk Creek / Grizzly Gulch area sported a population of nearly 2000, dozens of mining operations cratered the hillsides, Abner sold the Mary-Murphy for $75,000, and the Denver, South Park & Pacific Railroad was laying track up the canon. Residents platted the town, built a school and incorporated. The postal service rejected the first proposed name, Forest City. The committee picked St. Elmo after a popular book. St. Elmo prospered for thirty years in defiance of fire, harsh conditions, and the silver crash of 1893. By World War I, the town entered a gradual decline. The mine shut down. The DSP&P railroad decreased service and finally closed the Chalk Creek section in the 1920s. The last resident, Annabelle Stark, died in 1960. 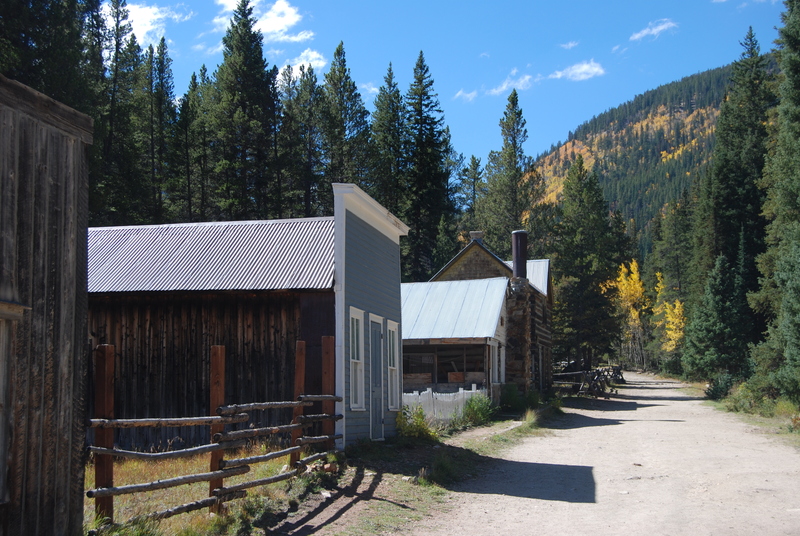 Although St. Elmo is considered a ghost town, all buildings are privately owned. Many of the houses are used as summer cabins. The School House and Town Hall are both owned and operated as museums by Buena Vista Heritage. Many of the buildings are owned by a private foundation concerned with stabilizing and preserving them. Visitors are welcome to wander the boardwalks. Services operate seasonally and include a store selling souvenirs, antiques and snacks, cabin rentals, ATV and snowmobile rentals and tours, and a bed & breakfast. In summer, enjoy the hummingbirds and chipmunks. St. Elmo is a protected area so please leave all artifacts – nails, shoe soles, tin cans, and other evidence of life in the past – where you found it, and respect the residents’ right to privacy.